GR-AR750S with latest firmware (3.009). File Sharing with “Writable” option enabled. SD card (128GB) in exFAT formatted. 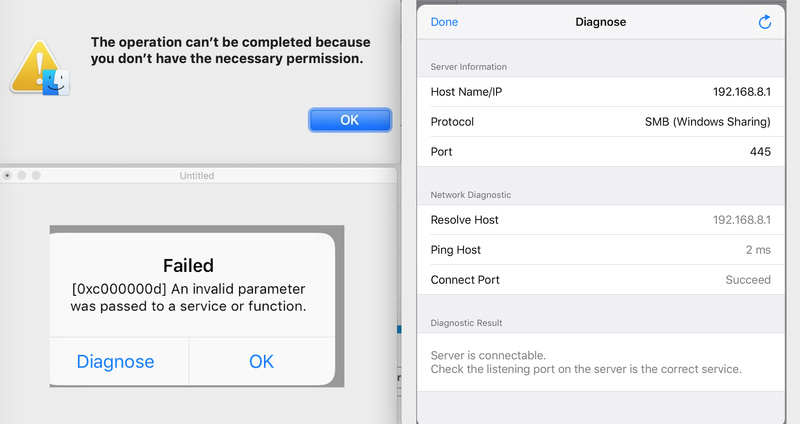 When connected from macOS and iOS devices, the contents show up correctly and are able to be read without any issues. (Connected as SMB with userid root and password as the web console credentials). Settings are similar to https://oldwiki.archive.openwrt.org/doc/uci/samba for the Share level access configuration. Does anybody have this working with the ability to write? Or do we have to use User level access for that? Any other troubleshooting tips would be appreciated. For writable, it says either use NTFS or exFAT. Are you suggesting NTFS ? Does the 3.022 firmware have any changes related to File Sharing ? Will it show up in the auto update channel ? It was a bug before, so we have fixed it in the latest testing firmware. In old firmware, you can format sd card to NTFS to fix it.